Oliver “Richard” Carden of Steelville, Missouri passed away Tuesday, November 20, 2018 in Cuba, Missouri at the age of 84 years, 11 months and 5 days. Richard was born December 15, 1933 in St. Louis, Missouri to Ollie and Frances Roberts Carden. He was united in marriage to Lois Delashmet in May of 1972 in St. Louis, Missouri. Richard grew up in the Ferguson area of St. Louis and graduated from the Ferguson High School. After high school, he attended and graduated from Ranken Technical College of St. Louis in the 1950's. He was owner of Carden Machine in Sullivan from 1956 to 2010. He was involved in many organizations of machinery manufacturing. Richard loved the outdoors and spent some of his time fishing and hunting. He enjoyed dancing and was a member of the Masonic Lodge in Sullivan years ago. 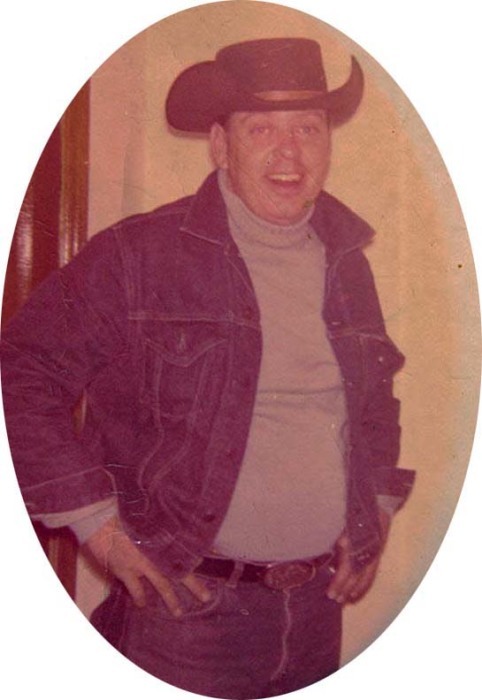 He was preceded in death by his parents; two step-sons, Colon “Butch” Moore and Anthony Moore; one brother, Ollie M. Carden; one sister, Jackie Carden; one granddaughter, Angie Black; two brother-in-law’s, John Delashmet and Jerry Delashmet; and one sister-in-law, Gloria Coombs. He will be sadly missed by his wife of forty-six years, Lois Carden of Steelville, MO; one son, Douglas J. Carden of Bourbon, MO; one daughter, Lorene Carden of Sullivan, MO; one grandson, Jesse Bell and wife Amy of Sullivan, MO; four great-grandchildren, Corey Hughes, Chole Weddle, J.J. Weddle and Ian Bell; brother-in-law’s Howell Delashmet and wife Margaret of Kenansville, FL, Ancil Delashmet of Gaffney, S.C. and Roger Delashmet and wife Eva of Naples, FL; sister-in-law, Susie Carden of St. Peters, MO; many nieces and nephews; other relatives; and friends. The Family received friends from 11:00 a.m. until time of service on Tuesday, November 27, 2018 at the Britton-Bennett Funeral Home in Steelville, MO. Funeral services were held at 12:00 Noon on Tuesday, November 27, 2018 at the Britton-Bennett Funeral Home with Rev. Jesse Parrott officiating. Special music of "Great is Thy Faithfulness" was sung by Hal Rhea accompanied on piano by Connie Rhea. Other music of "Amazing Grace" was sung by friends and family. Honored to be casket bearers were Jesse Bell, Mike King, Leland Coombs, Roger Delashmet, Tony Kaltenbach, Tristan Kaltenbach and Douglas J. Carden.